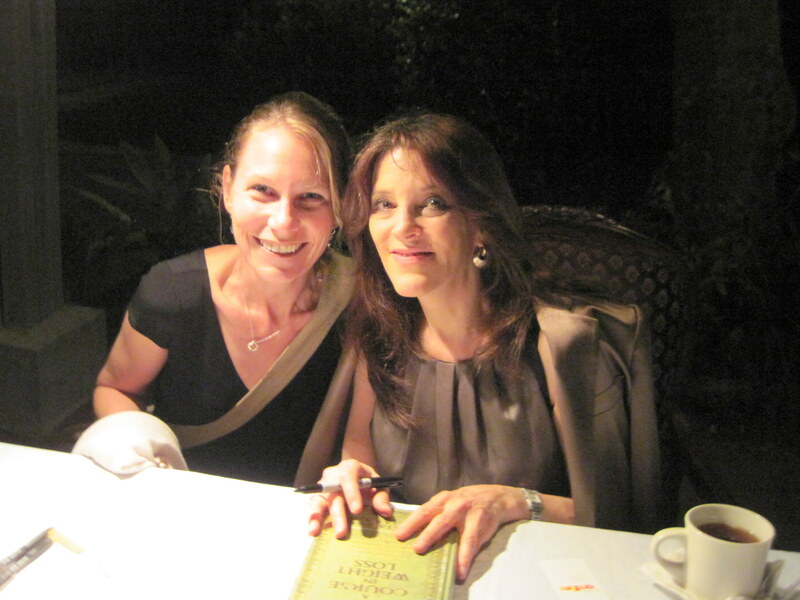 Tonight, I really did see Marianne Williamson speak in Naples, Florida. One month later and I finally got it right! It was a month ago, today, when I showed up to Unity Church with giddy anticipation to hear Marianne speak, only to find an empty parking lot. How could this be? I pondered as I contemplated why nobody else showed up. I was sure the parking lot would be full — actually I expected it to be overflowing. But, empty it was. Tonight, however, it was full — parking-attendant-with-bright-orange-jackets-and-red-flashlights-directing-traffic FULL. And, that’s when I knew, I was in the right place at the right time. Because, this, I have found to be true: when one shows up on the correct day of the correct month, the parking lot will overflow. I have two pages of copious notes and a heart full of love and inspiration after listening to Marianne share her bright light, wisdom and very funny stories about relationships and how to keep the flame burning bright. All relationships last forever because they live in the mind. Only what YOU are not giving in a relationship can be lacking in any situation. A man’s greatest psyche feeling is that his THOUGHTS be respected — whereas, for a woman it is her FEELINGS. Or, even this: a man loses his erection around his mother — so therefore you can’t coddle a man’s emotions and be his lover. One Hundred Percent of What You Give, You Get. And, for that reminder, I say thank you, Marianne. My heart, just as the parking lot, runneth over.